MY SIGN” is a local company serving the San Diego, California area that offers customizable signs and graphics with state of the art laser engraving. Laser engraving is a highly precise method to express the unique nature of your product. Let us add customized logos to your products and help your brand create a lasting impression on your clients in the San Diego area and beyond. Laser engraving also known as laser etching or laser marking is an elegant method to permanently label a wide variety of materials, including: granite, stone, marble, aluminum, metal, brass, acrylic, glass, plastic, plexi-glas, textiles, leather and wood. 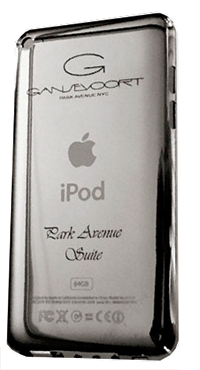 Even your personal accessories like your iPad and iPod can be engraved to permanently identify your belongings or add an artistic flare to your product. The laser uses a powerful thin beam of intense light as the engraving tool, so that no part of the machinery ever touches the surface of the item being engraved. The results are inspiring and help your product stand out among the competition. Laser engraving is also an economical way to customize your product. We can engrave a wide variety of material for commercial, personal, or industrial applications. Contact “MY SIGN” to find out the many ways we can add value and a unique flare to your products. “MY SIGN” is committed to provide you with the best customer satisfaction, by offering attention to detail, personal attention and quick turn around times all at a competitive price. Contact us today and let us explore our imaginations so we can help you turn almost any material into a unique and identifiable product with Laser Engraving from “MY SIGN”. Let “MY SIGN” design your sign with customizable laser engraving. We are San Diego’s premium sign company. We would be pleased to schedule an in-person visit to better answer your questions.